Ben Martucci has an array of experience and success in training, racing, coaching, and race directing. He brings a specific quality and connection to the sport of running. This star prep and collegiate track and cross country athlete, and former Florida Southern College head coach for 5 years is a 2007 graduate of Hernando High School. One of the most decorated track and cross country athletes in Hernando High history, Ben was an All-State performer helping set records in multiple events and relays. He led the Leopards in both 2005 and 2006 to cross country state team runner-ups. As a multi-faceted runner, Ben excelled at distances ranging from the 800 to the 5000 meters. He set the school record in the 1600 with a time of 4:17 in 2007 and still holds that record today. Ben then went on to run collegiate track and cross country at Florida Southern College. Ben ranks as one of the top distance runners in Moccasin history. During his four-year career, he was a two-time Sunshine State Conference individual cross country champion and ran on four SSC championship teams and one South Regional championship team qualifying for the Division II National meet three out of his four years as a Moccasin. He was named SSC Runner of the Year as a junior and senior and was team MVP both years. In track, he set the Moccasins’ record times in the 800, 1,500, 3,000 and 5,000 meters. He currently still holds the second fastest cross country time ever recorded in the 8k in SSC history at 24:26. Upon graduation from Florida Southern, Ben immediately became an assistant coach for cross country and track for his alma mater. In 2013, Ben then became the head coach for the Moccasin program. Ben was named SSC “Coach of the Year” in 2013 and 2017, as well as receiving South Region “Coach of the Year” honors back to back in 2013 and 2014 and sent three teams and two individuals to Nationals in his term at the helm. 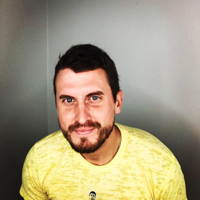 Ben graduated from Florida Southern in 2011 with a Bachelor’s degree in Human Movement and Performance and earned a Masters in Coaching and Athletic Administration from Concordia University-Irvine in 2015. He was inducted into Hernando High School’s Athletics Hall of Fame in 2016. Steve Willeford has many years of experience in operations and is deeply valued for his hard work and passion to keep the park looking at its best year-round. Steve has 18 years of work put in as an Operations Manager at major sports venues including two professional football stadiums under the Tampa Bay Buccaneers and Jacksonville Jaguars organizations. He also worked the 2000 Summer Olympics in Sydney, Australia and the 2002 Salt Lake City Winter Olympics. 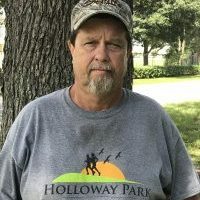 He’s fulfilled a few duties at the U.S. Tennis Center in Queens, NY, has worked the Silver Spurs Arena in Kissimmee, FL and currently has been at Holloway Park for 3 years now. He has a passion for organization and beautification to make whatever he works on his great success.